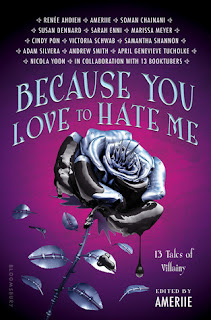 Christina Reads YA: Do awards matter less to the YA book community? Do awards matter less to the YA book community? There's no question that awards help a writer's career. Not only do they often boost sales, involve a money prize, and offer prestige and free promotion for a book, but the author also gets to mention winning that award for the rest of his/her career. What makes me curious about awards is whether there really is a sort of differential perception in adult, YA, and MG audiences. For adult books, it seems like awards are universally acknowledged as a way of distinguishing literary merit. And for adult books, it's been shown repeatedly how winning them boosts sales. I remember returning from a MEG at NYU with a professor and discussing books with him; he said, well, of course you can't go wrong with a book that won the Man-Booker Prize (he'd mentioned how he loved The Luminaries or was going to read it soon--something along those lines). In the kidlit market, I wonder to what extent awards offer that same sort of prestige. Librarians seem to hold an even greater sway in kidlit, parents asking about books for their children, and one of the easiest things to do is to recommend an award winner. I'm not terribly familiar with the MG book blogosphere, but my impression is that it seems smaller than that of YA blogosphere. There are tons and tons of YA book bloggers and booktubers and so on--can we say then that booksellers and librarians might hold greater influence over MG sales than YA sales, given that bloggers are such a huge mass in the latter but not the former? Maybe that's an unproven, unfounded assumption. But I am curious about the perception of awards in the different communities. 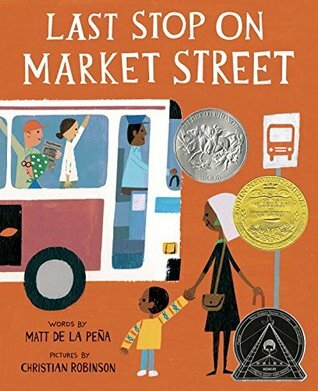 It was reported that winning the Printz and Newbery greatly affected sales for Matt de la Peña’s Last Stop on Market Street, illustrated by Christian Robinson, and Laura Ruby's Bone Gap. 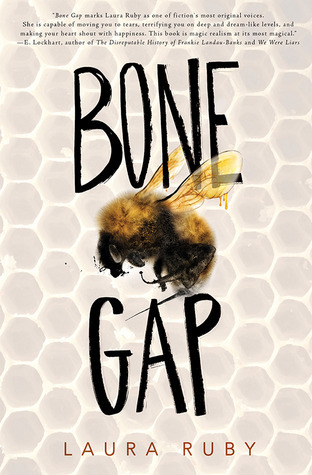 Print sales of Last Stop went up by 677% and 264% for Bone Gap. My guess for part of that discrepancy in sales increase is that Last Stop was the second picture book ever to win the Newbery and Matt de la Peña was its first Hispanic author winner. Naturally that got people curious. 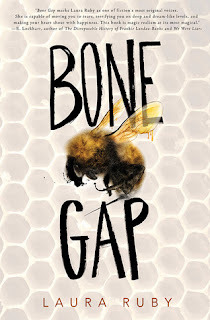 Of course, maybe Bone Gap was already selling more than Last Stop, and its percentage increase was thus smaller. But I wonder whether part of the discrepancy is also because awards matter more for younger--and paradoxically older--readers; in the YA community, they still hold weight but maybe not as much. Is there a trend to value (value meaning a sales increase, I guess) more commercial than literary (okay, well, let's not get into the artifice of commercial/literary labels) books? I don't really know the answer, but what do you think? Awards are undoubtedly a mark of respect and prestige regardless of the book's audience, but is it strange for me to think that the readership for YA seems to care less about them than the readership for MG or adult? Or do I have this biased opinion because we as bloggers don't tend to mention awards all that often--we're much more drawn in by the "hype" than anything else?